Have you ever thought about being born a woman? And what part you play in this changing world? Looking back at the feminine faces of my past, I can see the faces of my sisters, my neighbors, the friends I grew up with, my teachers, my mother, my grandmother and those that came before her. So many beautiful, inspiring beings that each gave to me her part of the feminine SPIRIT. 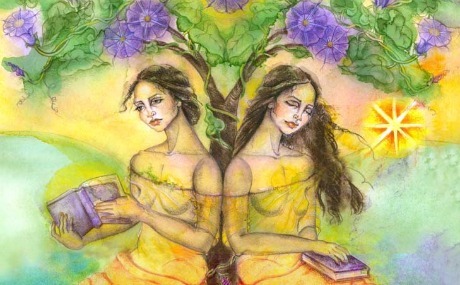 Maybe you never thought about this before, I didn't,..... but you and I are the new faces of the Goddess as she is reemerging in our world. Every women on this planet and every one who came before us are a part of a NEW BIRTH that is happening right under our noses! She's pretty dreamy, flowey and not completely embodied! Neptune is our oceanic depths, our origins, the way in which we merge with the divine. Neptune has to do with beauty, but since Neptune is the 'higher octave' of Venus it has to do with ethereal beauty; a beauty that is beyond what most of us can experience here on earth in the reality we live in. But it is REAL BEAUTY, we can image it in our hearts and in our longings for an eternal feminine image that can OPEN UP A NEW DIMENSION INTO our everyday lives. Neptune takes Venus into the next dimension of love - love for the DIVINE, exalted love, compassionate love for all sentient beings, BEAUTY that is beyond what the eyes alone can experience, beauty that takes us into the deep great heart and the mystery of our feelings. When I go on a walk at the OCEAN, I go to get in touch with my feelings. Sometimes, I go to the LAKE. Any large body of water will do for me - all that fluidity, that motion, that lovely flowing feeling helps me to go INside. The OCEAN is a Pisces, Neptune realm. The mermaid is one way in which we can think of Pisces or the 12th house in our astrology chart. Deep underneath the ocean lie hidden all the mysterious elements that make up life on earth - the OCEAN is our MOTHER, she is where we have come from. There is a vast and uncharted richness to the oceans of our earth and we must guard and protect them from the ravages of too much development. Consider that in many mermaid stories, the mermaid YEARNS for life on land, to become a HUMAN WOMAN capable of creating life. 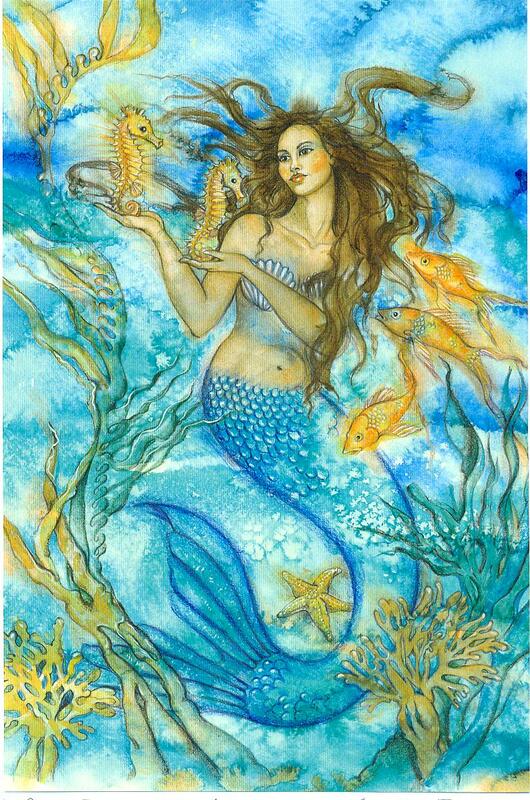 In feminine astrology the Mermaid would represent the Pisces longing for that which seems just beyond her reach..... she sits on the ASTROLOGY WHEEL just on the cusp at the end of the 12th house and then reaching or trying to be BIRTHED onto the 1st house cusp or your ASCENDANT. The 12th house is a lot like the sign PISCES. It's a SENSITIVE PLACE, a place of your unconscious, so deep that sometimes you are not in touch with it. In this mysterious place as NEPTUNE TRANSITS PISCES, the realm of 12th house energy, from now until 2026 (that's an entire 14 years) we can REIMAGINE and DREAM a new and wondrous loving feminine spirit! 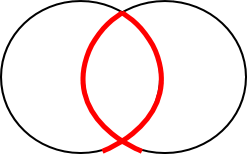 imagine one circle (representing the world of form and matter that we live in) and then another overlapping it about half way(representing the 'other world') and in between you have an oval, or yoni, a birth canal for new LIFE to enter. 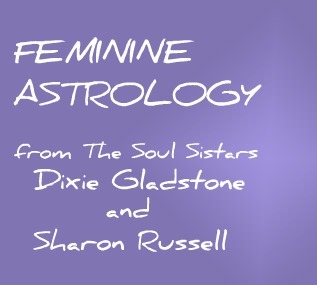 Astrology tells us that Pisces holds and contains the vast richness of the potential for new life, it is the Vesica Pisces - but it is 'potential life' in Pisces - a kind of potpourri or stew of rich organic materials left over from the remaining eleven signs of the zodiac. 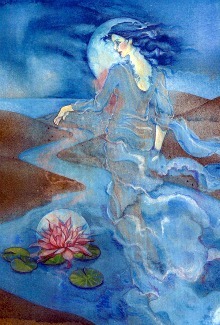 It is the muddy waters from which the lotus draws its new life (again, take a look at the lotus in Sharon's drawing of PISCES or SERENITY). 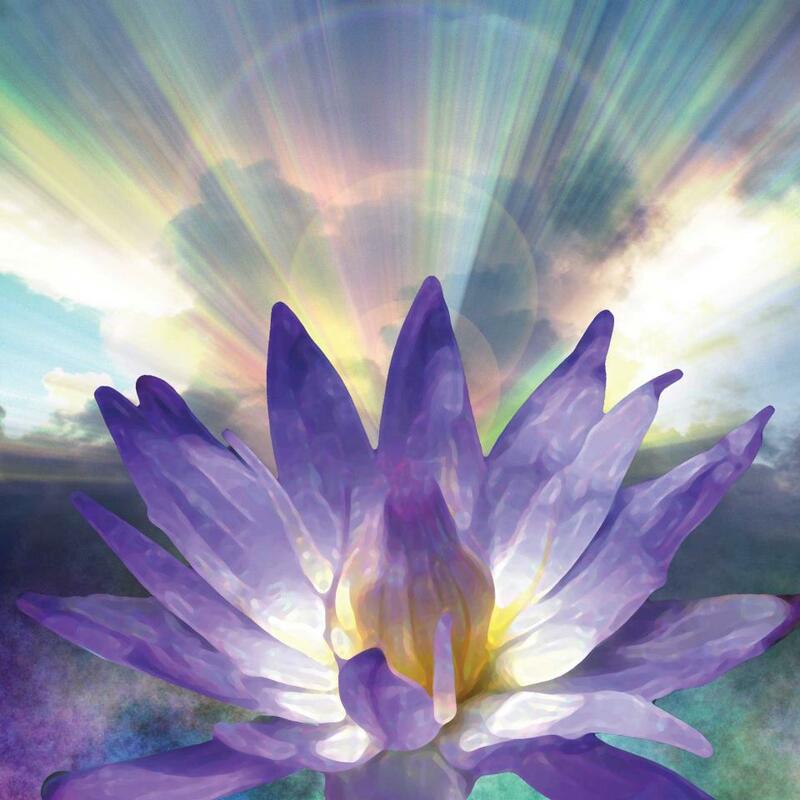 And like that LOTUS a new life of FEMININE BEAUTY AND MAJESTY is creating itself (or you could say RE-IMAGINING HERSELF) during this NEPTUNE IN PISCES PERIOD from 2012 to 2026. 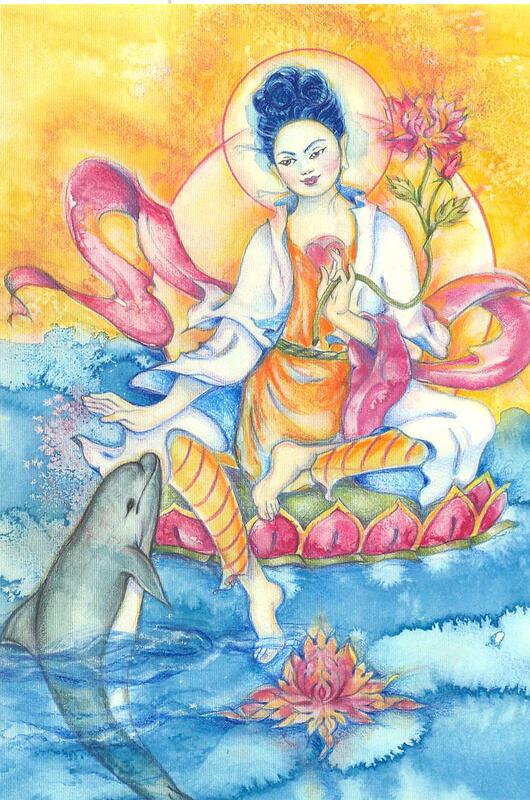 Here is Sharon's image of QUAN YIN WITH DOLPHIN - she painted this for a book about Goddesses for younger women.... it so tells the story of Beauty, sublime Grace, compassion and a sense of love for the animals and natural beauty of our oceans. NEPTUNE in PISCES means that we have a new opening for the birth of the HUMAN SPIRIT from our DIVINE ORIGINS! This is the Galactic Consciousness that you may have heard some speaking about. We are in an important time of human development on our beautiful planet EARTH. I like to call our earth MOTHER GAIA because GAIA is the name our ancestors used to refer to her when they wanted to remember that She is a living being. As we co-create with MOTHER EARTH we become a part of Galactic Consciousness. This is a new way of thinking that takes us beyond our Solar System into the greater Milky Way Galaxy of which we are a part of. And YOU are a part of this vital human-spiritual new birth. Some of you will want to LOOK AT YOUR OWN ASTROLOGY CHART and find the symbol for PISCES and see which house cusp has Pisces on it. Once you've done that you can look at where in YOUR CHART A NEW FEMININE SPIRIT IS BEING BIRTHED! Isn't this exciting? I take it seriously because I have seen the workings of the way in which the planets can manifest FOR US IF WE JUST GET A LITTLE PUSH IN THE RIGHT DIRECTION! Make sure you are on my email list by clicking on KEEP IN TOUCH.